This report presents January 2009 interviews with two former SPDC convict porters. Both men are originally from Arakan State, Western Burma, and participated in the 2007 demonstrations against the rising cost of living. These demonstrations culminated in September 2007 with the large-scale monk-led protests and subsequent military crackdown. 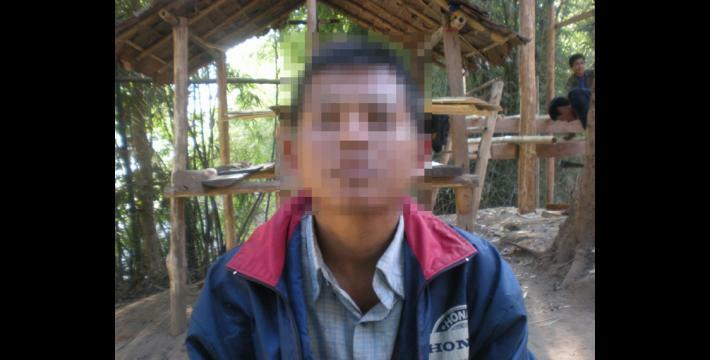 Both men were arrested by SPDC authorities for their activities, forced to serve as porters for the Burma Army in Karen State and eventually escaped captivity. Their testimonies cover issues such as SPDC-sponsored murder of convict porters, corruption within Burma's judiciary and systematic SPDC abuses perpetrated against prisoners. The interviews also give insight into the possible fates of other Burmese citizens who have tried to voice dissent in Burma's authoritarian environment, whether as part of the September 2007 protests or otherwise. This report presents the contents of January 2009 KHRG interviews with two Burmese men who were arrested for their participation in the 2007 popular protests against the rising cost of living in Burma. The 2007 protests reached their peak following the dramatic reduction in fuel price subsidies by the State Peace and Development Council (SPDC), Burma's ruling junta, on August 15th 2007 and the subsequent participation of tens of thousands or Buddhist monks beginning in late August. However, the demonstrations began on a smaller scale prior to August. In Arakan State, from where both interviewees hailed, the 2007 demonstrations began on June 19th with a solo protest by Maung Kyaw Naing. The first interview included here was conducted with 29-year-old Ko W--- who was arrested in Arakan State on November 27th 2007. On December 5th 2007, SPDC authorities sentenced Ko W--- to two and a half years' imprisonment. Ko W--- was then moved to Kyauk Pyu prison. In November 2008, Ko W--- was removed from prison, sent to the frontline in Karen State to serve as a convict porter alongside the Burma Army and subsequently escaped. 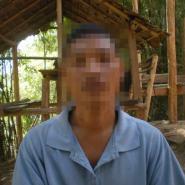 The second interview was conducted with 32-year-old Ko B---, also a resident of Arakan State. Ko B--- was arrested on July 28th 2007 after his involvement in the initial protests in Arakan State and sentenced to three years' imprisonment. On November 11th 2008, Ko B--- and 119 other prisoners were taken out of their cells by prison officials. Of these, 65 convicts were sent to serve as porters for SPDC military forces while the remaining prisoners were able to bribe prison officials in order to avoid being sent to the frontlines. 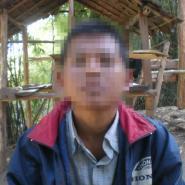 Like Ko W---, Ko B--- was able to escape captivity after arriving in Karen State. Can you explain why you were sent to prison? After the demonstrations [against the rising cost of living] in my village, the SPDC tried to catch me and other people. When I learned about that, I tried to flee to another place. At that time, there were around 22 people-combined USDA [Union Solidarity and Development Association] workers, Swan Arr Shin [Masters of Force] workers, Police Association workers and VPDC [Village Peace and Development Council] workers-who were trying to catch me and the others. During that time, there were 7 people arrested, but I wasn't arrested. When Gambari [the UN Secretary-General's Special Representative on Burma] arrived in Burma, the SPDC government agreed to release the people who were arrested during the demonstrations. So those 7 people were released. When people from my family told me to return to my village, I went back. Unexpectedly, one day a VPDC chairman named U S--- came to me and told me that they [other members of the VPDC] wanted to ask me some questions and he told me to come to his home at 9:00 am that day. After they asked me some questions, a police camp captain called U Th--- accused me of participating in an illegal organisation [the group that was protesting], so I was arrested and then sent to prison. They decided to put me in prison for two years and six months. I arrived at Kyauk Pyu Prison on January 24th 2008 and then on November 30th 2008 they removed some of the prisoners from the prison. Some prisoners were able to give the jailer money so as not to be sent to the frontlines. Each of those prisoners had to pay 80,000 kyat [approx. US $80]. I couldn't pay that money, so I had to follow them [the SPDC military personnel]. How did the police interrogate you? When I say these things, I know that if they [the SPDC] find out, they'll oppress my whole family in Burma. But I have to say these things because I can't keep secret what they've done to me. I can never feel good about it. I've suffered human rights abuses and lost many opportunities. Now I've already determined that I'll oppose them in any way and anywhere. There are judges, police, doctors and jailers who help operate the SPDC system. How do they operate? Concerning prison, even in division courts or township courts or state courts, even if people are already sentenced, the jailer or warden of the jail has the ability to free that person. You have to ask for an appeal. We can do both 'inside' and 'outside' appeals. An outside appeal is when a family member hires a lawyer to file an appeal on one's behalf. An inside appeal is when the warden of a jail has sympathy on a prisoner and files an appeal for him. The warden of the jail can also reduce the length of a sentence. But people who have been imprisoned for political crimes cannot have their sentences reduced... If we can give money to the jailer or the jail warden, we won't have to work very hard [i.e. do intensive forced labour] and we can stay in a good room. The more we can give, the better we can live. People who can't give [any money] have to sleep on the floor. When people became sick, they told us to go to the prison clinic. When we go to the clinic and get one Paracetamol and one dose of cold medicine, we must give the clinic workers at least a small package of [instant] coffee. The warden told the prison doctors or medics that if an illness is potentially fatal, the doctors should inform them an hour before the patient dies. The doctors are not qualified doctors... They're not legally appointed by the government. They don't have medical expertise, so they just look at people and make guesses about malaria or the flu and then give the prisoner some medicine. The township doctors come once or twice a month and we can see that they examined the prisoners but we didn't see them distribute any medicine. They only said, 'Don't worry. We'll get support from the ICRC [the International Committee of the Red Cross] with medicine and then we'll give the medicine to you.' They said this with a sweet tone in order to comfort us but then they never gave us anything. In any given prison, the prisoners can live in comfort or not depending on the sympathies of the prison authorities. If the prison authorities have no sympathy, the prisoners live in ugly and bad conditions. It doesn't matter whether the prisoner is there because he has done wrong. Now there are people in prison who have done nothing wrong in their lives but were arrested by the police-these people don't even know what they were arrested for. Those kinds of people lose many things in their lives. These kinds of human rights abuses happen a lot in Myanmar. In the prison, if an order comes to take out, for example, 60 prisoners from Kyauk Phyu prison for portering or to do work at a Yeh Beh [labour] camp, then the jailer or warden will take out 120 prisoners for medical check ups and they'll use doctors from the division to check to see whether a prisoner is able to do work. When they perform these check-ups, the doctors just listen one time to each side of the body with a stethoscope and then say whether the prisoner can work. They don't see what diseases one has or how much one weighs or whether our ears are working. Then we all have to go back to our cells. The [main] purpose of taking out the 120 prisoners is to demand money from them-the jailers have the authority to do this. They'll say to the 120 prisoners, 'You all have to go work as military porters but, if you don't want to go, you can 'get a block'.' The jailers already know who can and can't give [money to get] a 'block'. When they select people, they select 60 prisoners who are able to give money and 60 prisoners who aren't able to give money. Then the prisoners who can give money will contact family members and ask for the money. People who can give the money don't have to porter. The authorities will demand 50,000 or 60,000 kyat [approx. US $50 or 60] from each prisoner who is selected. How did the SPDC soldiers treat you and what were their normal activities? If we talk about this in the [perspective] of human rights abuses, they are violent human rights abusers. I myself have experienced that. As I was a man who was opposed to them, they had no sympathy for me. At the frontline, we [convict porters] can't rest. We have to carry water, cook rice and we have no time to sit down. There were a lot of leaders and if this officer didn't ask me to do work, the other one would come and ask for something. For me, I had to follow a column commander... They asked about me and I told them that I was a protester and they said, 'Aha, you're a revolutionary who is opposed to us.' I didn't respond and I did whatever they wanted me to do. I had been suffering from a bad stomach ache. When I arrived there [at the frontlines in Karen State], I had to carry 20 mess tins that weighed between 25 and 30 viss [40 kg./90 lb. and 48 kg./108 lb.]. We couldn't sleep regularly and the food had no taste. We'd wake up early in the morning and clear the bushes from the car road and we had to dig out the mines laid on the side of the road. If a mine was found, we would die first... For health care, I heard that if people [convict porters] got slightly sick, [the soldiers] would give them medicine and injections. But when people got seriously sick, the soldiers killed them. So I always took care of my health. I wasn't killed, but I suffered many different kinds of oppression even though I did whatever they asked us to do. I thought to myself, there will be no problem if I stay healthy. But when I got weaker, I looked for a way to run away. If I had stayed there, I would have been killed by them one day and so I took a risk and fled. I'll accept myself as a refugee [in the place in which] I have arrived-if I'm not dead, that's enough. I want to say that the soldiers can find the strength to endure that, but for us [porters], we don't need to sacrifice ourselves like this. I thought to myself, 'I'm not a criminal that should suffer these kinds of abuses...' Soldiers also told porters that, 'To kill you, we don't need to do anything, just pull the trigger and all that it costs us is pulling the trigger. When the leaders ask us to kill you, we can kill you anytime'... We were following LID [Light Infantry Division] #11 but when LID #11 [rotated out], they didn't tell us to follow them back. We had to stay behind and wait for the incoming regiment and had to keep doing this for another year before we were to be sent back to prison. We found this out from old and experienced prisoners. We found out that we were close to Thailand and there was an armed ethnic group there [the Karen National Liberation Army (KNLA)] and that there was a risk we could be killed by a landmine... So we fled and now we're here. Did they kill porters who fled but were rearrested? Before we fled, they told us that they had killed one porter who had fled and was rearrested-but we didn't see it with our own eyes. We couldn't go and have a look. They were always watching us and assigned sentry soldiers to watch us. 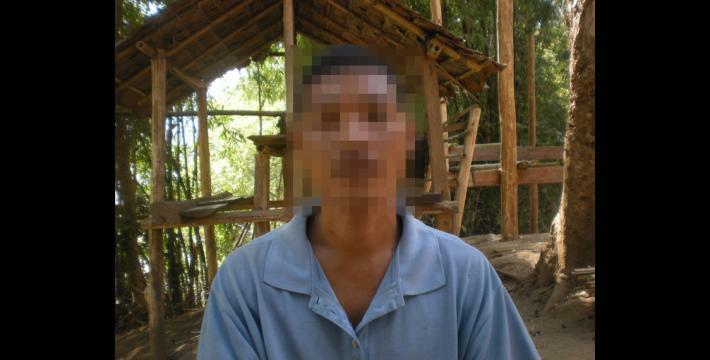 When we fled and arrived in Karen State, there was another group [of porters who had fled] and they told us that the SPDC soldiers had rearrested one porter who had fled with our group and they had killed him. That's the truth. The person's name was Nu Nya Ko and he was also from Arakan State. When and where did the demonstration occur? It happened on July 28th 2007 in Taungkok[in Arakan State]. Why did the people demonstrate? Because the [commodity] prices were rising. How many people were arrested? There were about 80 people arrested during the demonstration. When were you taken from the prison? I was taken on November 30th 2008 from the prison. There were 120 people taken out from the prison and 65 prisoners were sent to the frontline [in Karen State]. Other people paid money so that they wouldn't be sent to the frontline. Each person had to pay 70,000 or 80,000 kyat [approx. US $70 or 80] to be released, for us [the 65 prisoners] we couldn't pay them money, so we had to follow them to the frontline. What did they feed you in the prison? They fed us rice porridge. They didn't allow us to chew betel nut or smoke. We didn't have medicine in there. When we got sick they gave us medicine but we didn't know what kind of medicine, so we took [whatever medicine they provided]. When they took us from the prison, we had to sleep for many days on the way before we arrived at the frontline military camp. We also had to sleep at Moulmein prison for a night. In the morning, battalion #219 [Infantry Battalion (IB) #219] came to the prison to take us to the front. We came by vehicle. What things did you have to carry on the way? They ordered us to carry bullets and rations. We had to climb a lot of mountains on the way. When we arrived at their military camp, they ordered us to dig a canal and to reconstruct their vehicle road. Sometimes, they tortured us by beating and punching us. On the way, many prisoners escaped. Some were killed, but some got away. I couldn't stand the torture, so I had to find a way to get away. If I couldn't work for them, they would shoot and kill me. I didn't want to die because of them; therefore I tried to find a way to escape. What did you do before prison? I got married just 3 years ago and I did farming to support my family. We were poor but we still had to pay our flat field tax every year to the SPDC. For one acre of flat field we had to pay the SPDC one tin [10.45 kg./23.04 lb] of paddy. I also did fishing to get some [additional] income for my family. For detailed accounts of the 2007 popular protests in Burma see, Bullets in the Alms Bowl, Human Rights Documentation Unit, March 2008 and Crackdown: Repression of the 2007 Popular Protests in Burma, Human Rights Watch, December 2007. A young boy who lives and studies at a Buddhist monastery and helps the monks with their duties. Get a block; an expression which jailers use to demand money from prisoners-the bribes allow a prisoner to 'block' the obligation to serve as a porter.